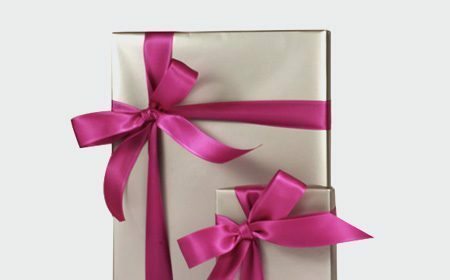 From rose gold to chocolate diamonds our collections won’t disappoint and with our beautiful gift wrapping you’ll have nothing to do except reap the brownie points! Our new ‘Tiny Hearts’ necklace couldn’t be more appropriate! Forget roses and treat that special someone to rose gold… it’ll last a lot longer! 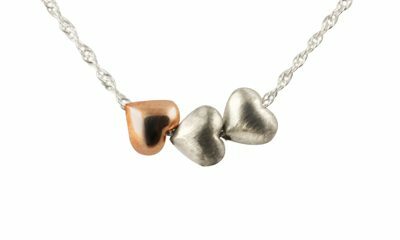 This necklace is made with sterling silver and rose gold and comes on a beautiful delicate chain. Perfect for everyday wear! WHAT COULD BE NICER THAN CHOCOLATE?…. A CHOCOLATE DIAMOND! 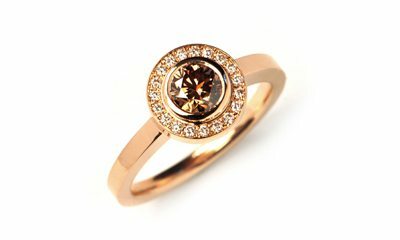 This stunning ring is made in 18ct rose gold with a chocolate diamond and small white diamonds surround. The tones of the stone and rose gold work beautifully together – enough to make her melt! 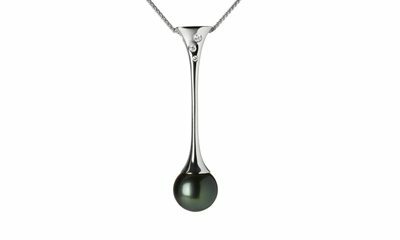 The elegant pendant, aptly named, is made in sterling silver with a freshwater pearl and a scattering of diamonds. A beautiful, timeless piece. Simple, sparkling and sophisticated! 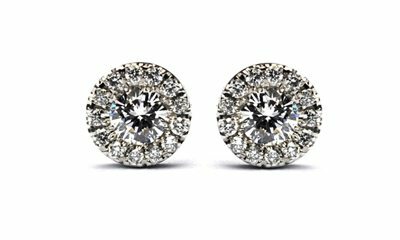 These diamond earrings truly glisten and are sure to be loved by any girl. Handmade by Irish designer Michael O’Dwyer. Prices from €1050. 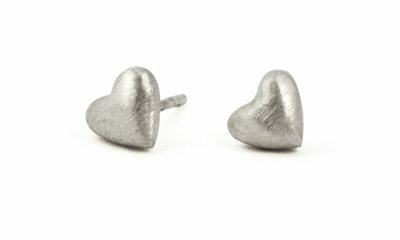 Simple heart stud earrings with a textured finish in sterling silver. Delicate and easy to wear!